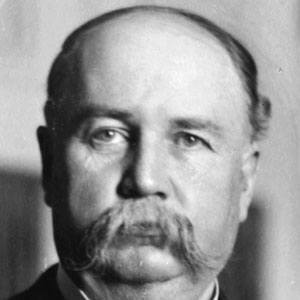 24th Vice President of the United States who served from 1897 to 1899 under President William McKinley. If he hadn't died while in office then Theodore Roosevelt would've never become President after the assassination of McKinley. He studied law under the guidance of a prominent local politician and lawyer. He fell ill with a heart problem and died in office, the sixth Vice President to do so. He married the daughter of his teacher and mentor. Theodore Roosevelt succeeded me as the Republican Vice President, and eventually became president after the assassination of President William McKinley.